As a Trekkie from the beginning, and a lover of humorous SF, this book was tailor-made for me. The fact that it won a Hugo was added incentive to devour it. The premise is, of course, that "Redshirts" (the throwaway characters from Star Trek, whose main purpose was to die dramatically) are real in the story's universe - and that those Redshirts are aware that for whatever reason, they are going to die horribly if anything exciting is going on (especially if it involves certain long-term officers). And here's where the story gets "real". Not just "they step out of the show and into our reality", but that it's done so tremendously well and so tremendously believably. There are points where, if you aren't sniffling a bit, you aren't human (and no, there are no Vulcans). What I didn't like: Wil Wheaton's narration. Don't get me wrong: Wil's a very competent actor - and scenes where he has to emote (e.g. Kerensky being drunk) are done perfectly. HOWEVER: an audiobook narration requires that there be some effort to differentiate between characters' speaking voices. Accent, register, rhythm - SOMETHING. but Wheaton does none of this. Maya sounds exactly like Kerensky sounds exactly like Hester sounds exactly like Dahl. 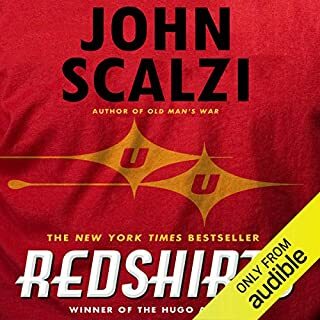 Oh yeah: Scalzi's choice of character names doesn't work too well in audiobook format. Duvall/Dahl tended to blur in my mnd, as did Hanson/Hester, and I was baffled to the characters referring to the science offer as "his majesty" because his name sounds like "King" (it's spelled "Q'eeng" in the book). Why haven't you read (listened to) this already!! 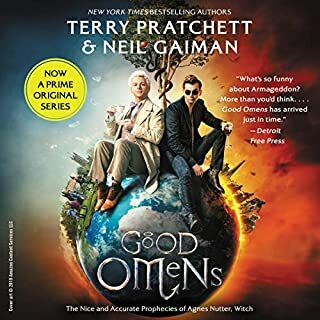 It's a rare audiobook that I'll bother listening to more than once, but Good Omens makes that short list. 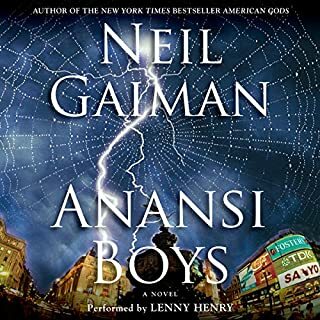 A hysterical tale, well-read, that had my grumpy teenage daughter chuckling within 2 minutes of my forcing her to listen to a bit on a drive. It kept both teenagers riveted during a long driving vacation. The angel and the demon are best buddies! Which character – as performed by Martin Jarvis – was your favorite? Shadwell was the most distinctive voice. Adam sounded too uptight and stuffy. Crowley and Azirophale were well done but Shadwell stole every scene. When Adam realizes that fulfulling his destiny will going to destroy everything he loves. If you haven't already read this book, what are you waiting for???? ?